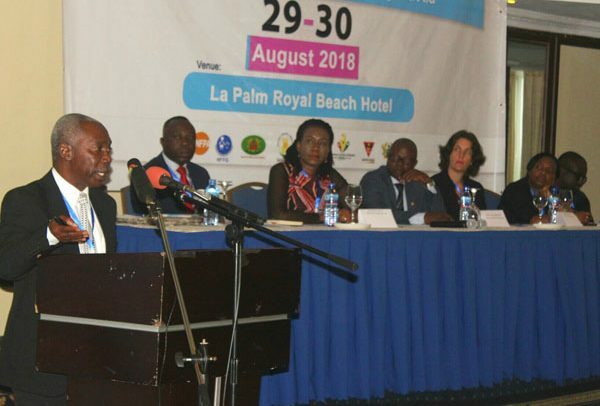 Stakeholders in the sexual and reproductive health rights (SRHR) fraternity have called for stronger commitment on the part of government in order to improve the poor adolescent reproductive health status of the country. According to them, the lack of prioritisation of adolescent health needs by government which is evident in government allocation of resources for adolescent health needs is hindering the country’s progress towards achieving its reproductive health targets. Adolescent birth rates in Ghana are still above 14 per cent, with over 50 per cent of adolescents having an unmet need for contraception, according to the just released 2017 Maternal Health Survey. This implies that 140 per 1,000 adolescent have given birth or are pregnant nationally, a figure which is higher that West Africa’s average of 155 per 1,000 adolescents. Speaking at the 2nd National Adolescent Reproductive Health Summit in Accra, Dr. Leticia Adelaide Appiah, Executive Director, National Population Council (NPC), justified the need for improved investment in adolescent reproductive health. She said by neglecting adolescent reproductive health needs, nations pay more dearly through increased health financing for an unhealthy society, increased welfare packages for poor people, increased financing for security services to contain deviants and reduced income tax generation. “It is important that nations actively make a choice to invest in adolescent reproductive health knowledge and services sets the stage for nations to transform its human resources into healthy human capital to enable nations reap demographic dividend,” she opined. Anne Coolen, Country Director for Marie Stopes International Ghana, revealed that the current indicators of the country show that with the right adolescent financing, the country would secure its future and reap its demographic dividend. “It is critical that the sexual and reproductive health of adolescents is given the major priority in our development discourse and practice. If there is any single investment government and donors must make to secure the future of this country, then it must be in the health and education of its young people; they are the reflection of the future,” she added. Presenting papers on the need for increased financing for adolescent reproductive health, Prof. Kofi Awusabo-Asare of the University of Cape Coast (UCC) and Prof. Akwesi-Kyereme, immediate past head of the Department of Population & Health, highlighted the poor financial commitment on the part of government to the sector. “The highest we have is three per cent of the country’s GDP on health expenditure. Currently, there is data for all the years on expenditure on reproductive health, which falls under prevention and public health services,” Prof. Kumi-Kyereme indicated. Prof. Awusabo-Asare stated that the country has a clear vision on what it wants to achieve in its population development in terms of the policies it has developed, however, there is little government is doing to fully implement the policies.